Mirusia has spent 10 years performing as the Star Soprano of André Rieu and is one of the most celebrated voices in the world. She has performed in front of country leaders, royalty and sung live to many millions of fans across every continent. Mirusia is celebrated for the vocal clarity, dexterity and exquisite tone she brings to the world stage. After performing stadium sized concerts with André Rieu, Mirusia has become a house hold name. Mirusia has a large world wide fan base who are now supporting her solo career. André Rieu: “I’m proud to have been there from the start and to see her career take off. After having worked with this incredibly talented young lady I can only wish her all the best in her solo career." Mirusia’s solo show is beautifully presented with orchestra, delivering stunning renditions of the classics and some of Mirusia’s much loved original pieces. So far Mirusia has completed solo tours of Netherlands and Australia with sell-out out shows, and number 1 charting albums, DVD's and singles. 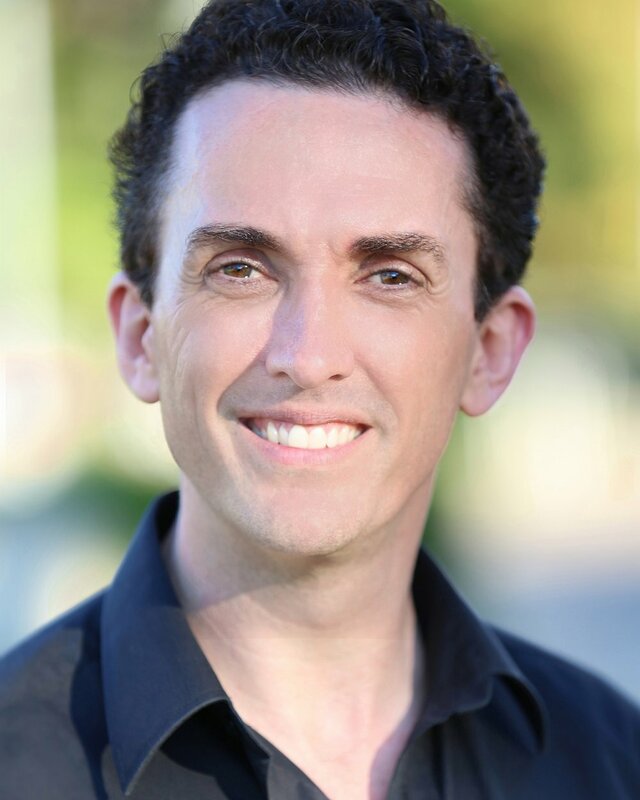 Jason Barry-Smith’s study in Brisbane, Munich, London and Rome led him to a singing career where he’s a familiar and commanding presence on the Australian operatic stage, and is equally in demand as a singing teacher, conductor, arranger, and performing arts innovator. He’s performed in some of Opera Queensland’s most successful productions including Sir Despard inRuddigore, Dandini in Cinderella, Pish-Tush in The Mikado, Handsome in The Girl of the Golden West, Count Danilo and Baron Zeta in The Merry Widow, Papageno in The Magic Flute, Guglielmo in Così fan tutte, Gabriel von Eisenstein and Doctor Falke in Die Fledermaus, Mercutio in Romeo & Juliet, Schaunard in La bohème, and the title roles in The Barber of Seville and Don Giovanni. Jason has performed the title role in Billy Budd for the Brisbane Biennial Festival of Music, Papageno in The Magic Flute for Opera Australia (Opera on the Beach), Guglielmo in Così fan tutte for the Tokyo Arts Foundation, Mathieu in Andrea Chénier and Belcore in The Elixir of Love for the State Opera of South Australia, created the roles of Samuel in Electric Lenin for NORPA and Julian in Quartetfor the New Zealand Arts Festival, Mamoud in The Death of Klinghoffer and the title role in The Barber of Seville for New Zealand Opera, Enjolras in Les Misérables for Wellington Operatic, Tony in West Side Story for Brisbane Festival, Major-General Stanley in The Pirates of Penzance for Essgee Entertainment, and Escamillo in Carmenfor Opera 21 in Belfast. He has held the postitions of Sessional Singing Teacher at the Queensland Conservatorium, Griffith University, Artistic Director of the Queensland Youth Choir, Director – Young and Developing Artist Program at Opera Queensland, and Creative Director of Open Stage at Opera Queensland. Holly began singing at the age of nine and has learnt from many esteemed teachers including the acclaimed Australian Sopranos Molly McGurk and Sara Macliver. She performed extensively throughout her youth and achieved high distinctions for both classical voice and flute with the AMEB. In 2011 Holly graduated from WAAPA with a Bachelor of Musical theatre prior to which she completed two years of Classical voice. At WAAPA some of her roles were Beauty in Beauty and the Beast, Olive’s Mum in The 25th Annual Putnam County Spelling Bee and the original Elaine in A Little Touch of Chaos. After graduating Holly’s credits include; her one woman cabaret Spare a dime for the Divas, touring with Perform! educational musicals, Neighbours and performing as part of the Seven Sopranos. In 2014 Holly embarked on the South Korean national tour of Cats in the role of Jennyanydots which continued to tour to Singapore, Macau and a return season to South Korea. She reprised the role of Jennyanydots in the London revival production which toured NZ and Australia and was thrilled to work alongside Delta Goodrem who starred as Grizabella. Most recently she performed in Opera Australia and John Frost’s 60th anniversary production of My Fair Lady directed by Dame Julie Andrews. Holly is thrilled to be performing in the world premiere production of Mimma and wants to thank her agent Emma Raciti and her family for their unwavering love and support. Canadian/American soprano, Suzanne Kompass is an experienced opera singer and concert singer. Her roles have included Susannain The Marriage Of Figaroand Paminain The Magic Flute, Mimiin La Boheme, Adelein Die Fledermaus, Hanna Glawariin The Merry Widow, Lisain The Land Of Smiles, Margueritein Faust, Violettain La Traviata,Lisain The Countess Maritza,and the title role in Massenet’s Manon with such companies as Opera York in Toronto, Toronto Opera Lab, with the Vancouver Symphony and at the Spoleto Festival both in Italy and in Charleston, South Carolina. On the concert stage she toured, for over a decade, giving hundreds of performances throughout Europe, Canada, and the USA as the soprano soloist for the Broadway Celebrations Concert Seriesunder the baton of internationally famous Cincinnati Pops Orchestra conductor, Erich Kunzel. She has also given concerts throughout the USA and Canada with such orchestras as the Toronto Symphony Orchestra, Vancouver Symphony, the New Jersey Symphony and the Pennsylvania Symphony Orchestra and has worked with such leading conductors as Zubin Mehta, Carlo Maria Guilini, Robert Shaw and Daniel Baremboim. Her platinum selling album, A Christmas Homecoming, recorded with Canadian jazz composer, Hagood Hardy, was performed in sell-out concerts throughout North America and and in televised performances with the Toronto Symphony Orchestra. In Australia, Suzanne has appeared as soprano soloist in Scotland The Bravewith the Adelaide and West Australian Symphony Orchestra and has given concerts with the Queensland Symphony Orchestra. Igor Sas has performed with many of Australia’s major theatre companies including The State Theatre Company of South Australia:The Blind Giant is Dancing, The Season at Sarsaparilla, Romeo and Juliet, The Conquest of Carmen Miranda, Twelth Night director Neil Armfield, The Marriage of Figaro director Louis Nowra, Pal Joeydirector Jim Sharman; Australian Nouveau Theatre Melbourne: Don Juan director Jean Pierre Mignon; Melbourne Theatre Company: Art director Roger Hodgman, The Swimming Club director Kate Cherry; Sydney Theatre Company/Malthouse Theatre: The Trial director Mathew Lutton; Perth Theatre Company: Beach Blanket Tempest, Stories from Suburban Road, Soulmates director Alan Becher; Thin Ice Theatre Company: The Gathering, Red Shoes director Mathew Lutton; Black Swan State Theatre Company: The Female of the Speciesdirector Tom Guttridge, When the Rain Stops falling, Death of a Salesman director Adam Mitchell, Laughter on the 23rd Floor director Kate Cherry (in which he won The 2015 PAWA award for best actor for his portrayal of Val Kolsky), As You Like It director Roger Hodgman,The Perfect Speciman director Stuart Halusz, HIR director Zoe Pepper; Barking Gecko Theatre: Bambert’s Book of Lost Stories director Luke Kerridge (this production won a Helpmann Award in 2017). He has performed in many musicals the most notable being the National Theatre London/Adelaide Festival Centre production of Guys and Dolls director David Tagouri,which toured the eastern states of Australia. He had the enormous pleasure of starring opposite Debbie Reynolds in Irene, alongside an all star cast including such luminaries as Nancy Hayes, Jill Perryman, Toni Lamond and Suzanne Johnston in Follies at the Sydney Opera House and alongside Tim Minchin in Amadeus at His Majesty’s Theatre. Ian performed the lead role of Jean Valjean in 2 productions of Les Misérables at the Regal Theatre, Frank Butler in Annie Get Your Gun at His Majesty’s Theatre, Emile de Becque in South Pacific at the Regal Theatre, Charlie Allnutt in The African Queen at the Dolphin Theatre and Max Biallystock in The Producers at Mazenod College. 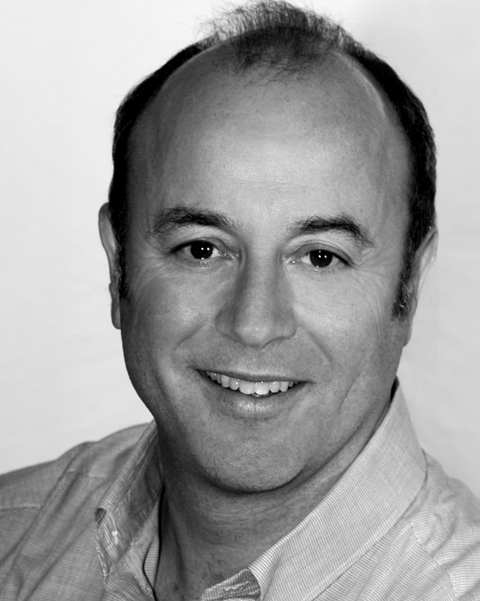 Ian has appeared in many stage plays in Sydney, Melbourne and Perth and has written and performed in over 25 cabaret style shows that have been staged throughout WA. He has appeared in TV shows including Neighbours, A Country Practice, Genie From Down Under, Janus and films such as Three Acts of Murder, Crush and Otherlife. He has recently commenced an exciting project by opening his own school, Perth Academy of Performing Arts. Ian has been a proud MEAA member for over 30 years. Brendan is a creative nomad. He is an actor, singer, dancer, director, writer and lecturer. As a performer Brendan’s recent credits include, Assassins, I Am My Own Wife, Clinton, Next to Normal, Midsummer(a play with songs) and Arcadia all for Black Swan State Theatre Company. The Telephone for Lost and Found Opera, Into the Shimmer Heat for Nova Ensemble and Oklahoma! CATS and Company for ICW productions. For Brainbox productions he performed in Lebensraum, The Last Five Years and Grande Revue. He performed in Les Miserables for Cameron Mackintosh, Grease for Gordon Frost and Singin’ in the Rain for David Atkins Enterprises. Brendan has acted in As You Like It, The Comedy of Errors and Twelfth Nightin Shakespeare in the park for deckchair theatre. He is the brains, breath and body behind the cabaret enigma Petit Mort and has appeared regularly on the Perth cabaret scene and played Ringmaster for La Soirée. He has sung for WA Opera in Tosca, The Tales of Hoffmann, The Magic Flute, Orpheus in the Underworld and Carmen. He has directed opera, musicals and plays and is a lecturer in performance skills in the classical voice department at the West Australian Academy of Performing Arts. His directorial credits include Actéon for Lost and Found Opera, The 50th Anniversary Opera in the Park for WA Opera and the company’s ongoing schools opera programmes. For WAAPA he has directed, Cabaret Carnivale, Opera! The Opera, Angelique, Acis and Galatea, Guess Who’s Coming To Dinner?, Dido and Aeneas and La Serva e l’Ussero. He was a finalist in Channel Ten’s I Will Survive, and played Hudson Fysch in Air Australia for the ABC. Brendan was awarded the PAWA award for his portrayal of Kenneth Starr in Clinton, and the Best Actor award for Lebensraumby the Equity Guild. He is a WAAPA graduate and a proud member of MEAA since 1990.